Experiencing a car accident can cause both physical and mental damage. If you or a loved one have been injured or experienced pain and suffering resulting from an accident you were involved in, don’t overlook it. It’s time to seek legal guidance and be adequately compensated. 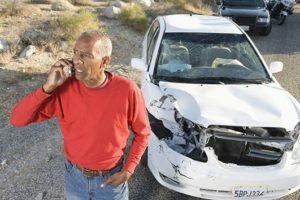 Rawa Law Group specializes in handling cases of individuals like you who need the proper guidance and legal representation by a reliable auto accident attorney in Fontana, CA. Our well-trained lawyers are up to the task and have the capability to bring your case to a close through ethical legal representation. We’ve been involved in handling similar cases and have helped our clients recover hundreds of millions of dollars in settlements. Our professional lawyers are relatable with flexible consultation hours (which are usually free, to properly guide you on the right legal path). We have over 55 years of combined legal service experience, delivering aggressive arguments to ensure you go home well compensated for your pain and suffering. We are big on communication and keep you in the loop on all our activities as we perform them in your favor. At Rawa Law Group, our first point of call is to help you win your argument which is why we don’t charge you upfront for our legal services; instead, you only pay us for representing you when we have delivered on our word, which is to get you your compensation. You can get in touch with us today if you are looking for a season auto accident attorney in Fontana, be rest assured we’ve got you covered.